Finally it’s getting cold outside and it’s time to change your wardrobe. With a few smart tips we will help you to organize your clothes for winter. Put your non-winter clothes away. It sounds obvious, but it makes the biggest difference. Whether you can store them in a separate place entirely, or simply move them to the back or side of your closet, getting them out of sight and mind as much as possible will help you concentrate on your winter wardrobe. No room left in your closet? Organize neatly in labeled bins and place under your bed, in your attic, your basement or garage. 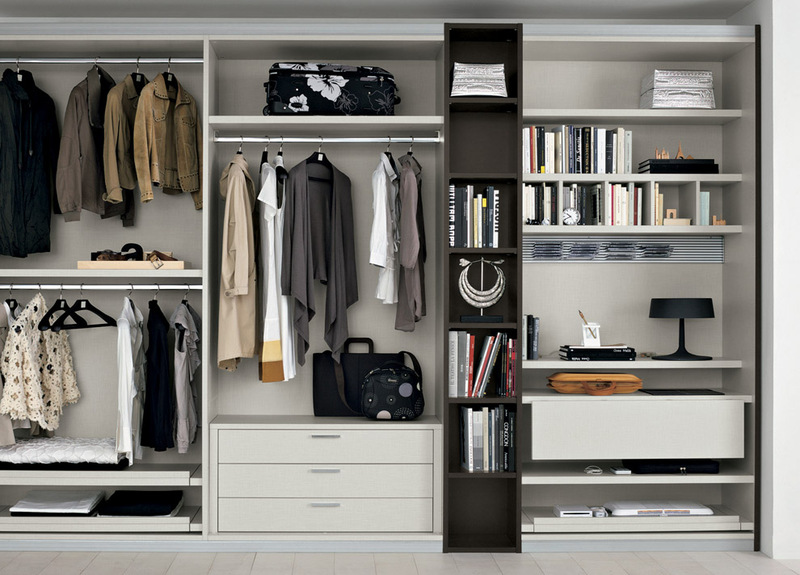 Arrange items by type, color and length to maximize wardrobe flexibility. Keep shirts with shirts, pants with pants, sweaters with sweaters, and so on. 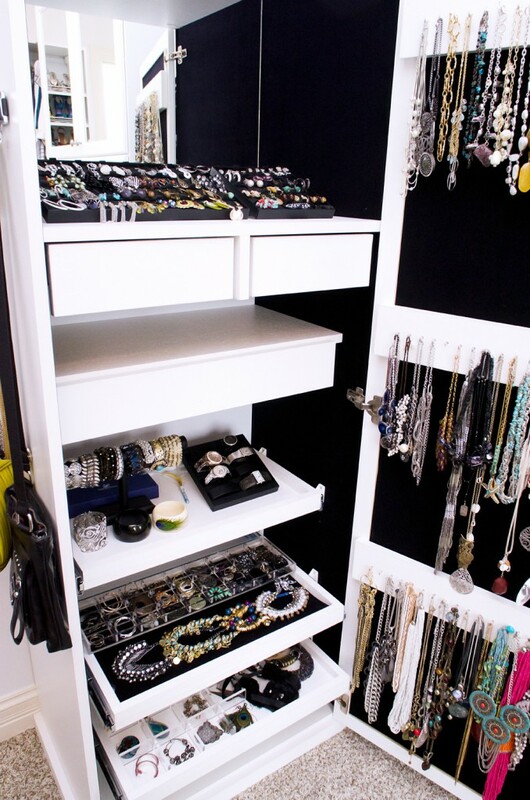 Organize your closet by color and length of clothes and it will look organized and pretty. This is the perfect strategy for cold weather accessories that are easy to lose such as gloves, scarves and hats – keep them together! Use shelves to keep sweaters and shirts in view. You don’t wear what you don’t see, so fold sweaters and shirts and store on shelves. Bonus: storing items this way also helps avoid stretching. There are many good ways to store these, whether you keep them in your closet or not. I like the convenience of a large canvas tote bag by the front door, but for more delicate knit scarves, hooks that go over a closet door are a good option. Clear plastic bags or boxes let you see exactly what’s inside. Whatever you choose, just remember to stick to it and return your accessories after wearing them. Thinking you can have five different places for these items is how gloves, lose their partners. You don’t want your ties, belts or scarves all bunched up, so keep them neatly organized on hooks. For ties, you really want a tie rack with a designated hook or peg for each tie. Use racks for hats or purses – the idea is to keep everything visible and handy to make accessorizing easy. Bonus tip: Hooks are also a unique way to store your costume jewelry – it’s easy to see how your necklaces hang and to just grab them and go, rather than rifling through jewelry boxes. Be careful with your boots. As with winter clothes, winter shoes are heavier, and more likely to come into the house wet and dirty. If you usually store summer shoes in your closet in a bag or rack, you’ll need a new method for cumbersome, snow-covered boots. Winter shoes, with the exceptions of dressy or indoor-only ones, should probably not be stored in or near a closet full of clothes. Change up your hangers and closet organizers. Your winter wardrobe might have little in common with your spring, fall, and summer ones. Because dressing for warmth sometimes requires a different style, you might need more hangers to accommodate heavier pants and skirts, or fewer hangers if sweaters are replacing your button-down shirts. You might also want shelf dividers to keep those sweaters in place, or a new receptacle to hold mittens or leg-warmers or whatever other accessories winter introduces into your closet. If winter is the only time you wear scarves, you might need a place to hang them that you don’t in other seasons.